Leather Mule Headstall with Snap Crown and Brow This headstall is great for mules that are sensitive about their ears. 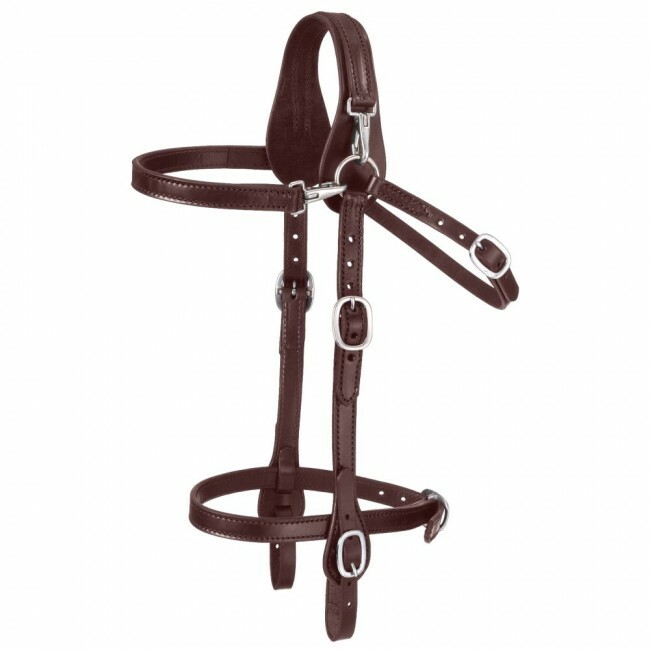 Snap at crown and brow make is easy to put this headstall on. Fully adjustable at bit ends, cheeks, throatlatch, and nose.